Following the highly successful London 2012 Olympic and Paralympic Games, it’s Brazil’s turn next in 2016. Rio de Janeiro is the host city in this vast South American country that beat off fierce competition to host the event from Madrid, Tokyo and Chicago. 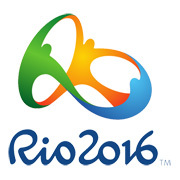 Better known as Rio 2016, every city aims to out-perform the previous hosts. Rio plans to hold sporting events in the four areas known as Barra da Tijuca, Maracanã, Deodoro and the iconic Copacabana Beach. their intention to enter competitors from areas of Africa, Asia and Oceania to Europe and the Americas. As with all Olympic Games, the host city and country have to spend vast sums of money to regenerate run-down areas, build new facilities and create a transport system that can cope with millions of visiting sports fans and tourists. August 15th 2016 has been announced as the date for the opening ceremony that will take place in the Maracanã Stadium that also hosted the final of the FIFA 2014 World Football Cup.